Are You Getting Genealogy Matches That Really Work? When asked “What Do YOU Use for Genealogy Research and Brick Wall Breakthroughs?” here’s what I tell them . . . UPDATED Friday, November 16th: My apologies for the confusion regarding existing MyHeritage users receiving the same 50% off deal for renewals. The details were not communicated CLEARLY to me via email and here is the correct way to get a lower renewal price: CALL MyHeritage Customer Support, mention that you saw the deal offered by Genealogy Bargains, and ask what offer than can give you on a renewal. Thanks! Many of my followers know that I travel around the country presenting genealogy lectures and workshops. Did you know that I fly over 50,000 miles each year and I LOVE connecting with other genealogists and sharing the latest genealogy and technology information. I recently returned from the MyHeritage LIVE event in Oslo, Noway! Are You Sure You Know MyHeritage? 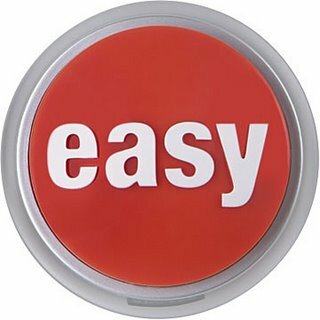 I always tell genealogists that there is no “easy button” in genealogy and NO WEBSITE will provide easy answers. But you need to spend time understanding all the features of a site like MyHeritage and maximize your time spent there. DNA Matching: MyHeritage has made recent improvements in its DNA Matching technology and I’ve found lots of new matches. And these are in the 1st to 3rd cousin range, not 4th to 6th cousin like AncestryDNA’s matching. Also, I love that DNA Matches allows me to see the surnames I have in common with my matches! True Worldwide Coverage: This is a big one for me especially as I am working on my European genealogy research. MyHeritage has over 99 million users, 3.2 billion profiles and an online community of users around the world. When I have questions about German archives and records I know I can get answers from other users on MyHeritage. SmartMatching™: Finds matching profiles in family trees, enabling users to discover new ancestors and relatives, and connect with other users. RecordMatching™: Automatic matches between people and historical records. 24/7 Customer Service: Great toll-free customer support 24 hours a day / 7 days a week for most countries.